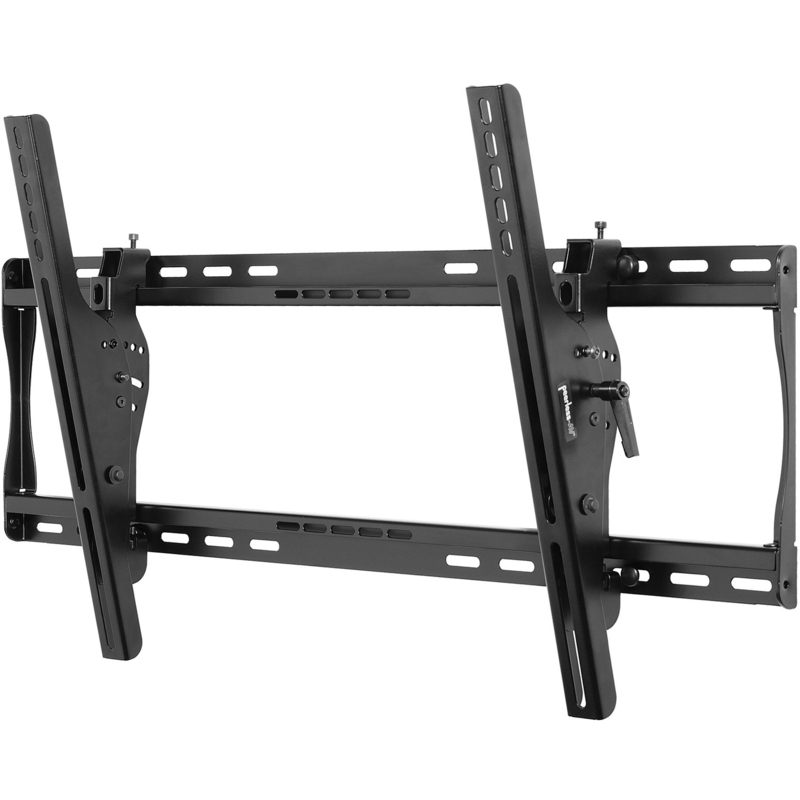 The SmartMount® Universal Tilt Wall Mount series offers the most versatile installation features and mounting options. Horizontal and vertical adjustment abilities allow for post installation leveling and side-to-side positioning, making it easier than ever to find the perfect TV position. Lock the tilt angle at installation to prevent tampering or moving with the IncreLok™ tilt technology. Security screws provided in the ST650 models deter tampering and theft. The open wall plate design offers total wall access, increasing the electrical and cable management options. The display can now simply be installed by a single person with the Hook-and-Hang™ system. The Easy-Glide™ adaptors hook onto the wall plate for an overall quick, simple, and secure installation.